During the summer, college students often take on internships, research, and jobs to gain more experience in their careers of interest. College and university campuses across the country often create summer programming for youth as well. It is during these summer programs that young people can experience, first hand, themselves on a college campus and meet students who currently attend. As such, today’s MSI Monday Morning Line Up highlights 5 MSIs with awesome summer camps and programs for youth in their communities. While there are a plethora of academic summer camps for young people, Cal State, Long Beach designed the Young Artists’ Camp specifically for artists in the making! This 3 week long camp is available for students ages 9-15 provides training in art fundamentals such as drawing, painting, printmaking, ceramics and more. The camp cost of $350 also includes amazing field trips and a gallery exhibition of student work. Learn more about Young Artists’ Camp 2018 here. The University of Houston- Downtown currently hosts multiple summer camps for youths age 10-17 in locations throughout the city. One of the most interesting camps is entitled “Language Camp” where kids and teens have the opportunity to learn French and Spanish. Language classes are taught by highly trained, native-fluent speakers who are experienced in teaching children. Other UH camps for youth in the community include Engineering, Science and Writing Camp! Lean more about these summer opportunity for youth here! Hampton University uses the summer as a way to prepare young people for college through summer engagement program. Hampton’s “A+ Summer Program” is a weeklong summer program hosted by the campus’s Honors College for 8th-12th grade students. This year’s camps, with the title “Raising My Voice: Intellectually Influencing MEdia, “will engage participants in recognizing, owning, and amplifying their voices as they navigate and seek to impact the various forms of media they encounter.” Learn more about Hampton University’s A+ summer camps here. Northwest Indian College hosts a College Pathways Bridge Program and Summer Camp for students entering 10th-12th grade. This program’s purpose is to help students from their community “prepare for college and strengthen their knowledge in areas of math, science, reading and writing as well as the college admissions process.” Northwest Indian College is committed to supporting students in discovering their full potential as a learners in higher education. Learn more about the summer camp dates, eligibility, and other important information here! The University of Alaska, Fairbanks, currently hosts multiple week-long summer engagement camps for youth ages 2-12 starting May 29, 2018. Younger students (grades 2-3) have Dinosaur and Baking camps, while older students can explore, Archeology, Firefighter Training, and Crime Scene Detective Camps. The diverse list of camp options can expose youths to careers and activities that they may not otherwise have opportunity to explore at home. Learn more about the camp dates, registration, fees, and possible scholarships for camp fees here! Know of other summer youth community engagement camps at MSIs? Share in the comments below! As the culinary industry rapidly grows, Minority Serving Institutions are training the next generation of culinarians. Culinary programs at MSIs teach students about the presentation, taste, and texture of dishes. After completing any of these programs, students are presented with many career opportunities. Learn more about these opportunities in today’s MSI Line Up which highlights eight culinary programs at MSIs. Johnson & Wales University offers a Bachelor of Science in Culinary Arts. Within this major, there are ten different concentrations including: baking, restaurant management, culinary science, and food entrepreneurship. As students specialize in one or two of these concentrations, they are also equipped with internships, professional connections, and on-the-job experiences. Arizona Western College assures success to their culinary students. With the option of earning various certificates or earning their associates degree, students are thoroughly prepared for the workforce. Additionally, the Culinary Arts student club allows students to learn more about food from farm to fork. The Los Angeles Trade Technical College offers students with the practice and experience necessary for a culinary career. Successful completion of the program may lead to careers as corporate chefs, private chefs, consulting, or journalism. As a part of their Commercial and Industrial Technology program, the Culinary Arts concentration teaches students the technical expertise to succeed in the food service industry. Students specialize in effective utilization of tools and equipment used in the field. On campus there is also a student group that hosts culinary arts competitions. In addition, they participate in community service projects to help their local community. The Commercial Food/ Culinary Arts program at Lawson State Community College offers an Associate Degree in Applied Science. Students are provided with opportunities for workplace education through partnerships with local restaurant and hospitality services. The mission of the Culinary Arts Technology Program at Coahoma Community College is to “prepare students for entry-level employment in culinary arts careers through exposure to classical, American, and international cuisine, as well as the art of baking and patisserie” (coahomacc.edu). Through this concentration, students are exposed to classical, American, and international cuisine. With a hands-on approach, the kitchen is led by a chef instructor. Emphasis is placed on culinary tools, equipment, techniques, and specialty ingredients. Completion of the program grants all students the ServSafe Sanitation certification. 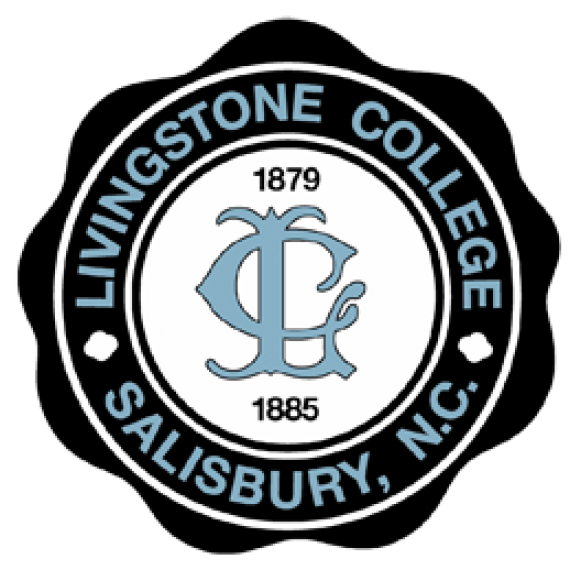 Students at Livingstone College earn an Associate of Science (A.S.) in Culinary Arts. This program focuses on three main objectives: providing students with a broad perspective of the hospitality organizations, equip students with analytical tools based upon logic and critical thinking for decision-making, and prepare students for responsible professional positions in various sectors of the Hospitality Industry. The Culinary Arts Program at Denmark Technical College gives students the basic foundation on cooking chemistry. Students practice their cooking techniques, menu planning, and banquet planning. After completion of this program, students pursue careers such as chef, baker, or pastry chef. Alternatively, students start self-employed catering businesses. Know of other culinary programs at MSIs? Share in the comments below! Are two degrees better than one? This has become the question for many students who have a particular interest in dual degree programs. Dual degree programs offer opportunities for students to receive the strengths of both institutions. Which include: greater resources, access to professors, and a chance to broaden your social capital and educational network. Unlike Major/Minor programs or double majoring, dual degree programs require students to specialize in two concentrations at the highest caliber of both subjects at multiple institutions. This week’s MSI Line Up highlights some of the dual degree programs available at HBCUs. North Carolina State University’s College of Engineering has partnered with Fayetteville State University (FSU) and North Carolina Central University (NCCU) to increase access to STEM education. Both institutions educate a large proportion of the underserved population in the State of North Carolina. Students within the program have the opportunity to earn their first bachelor’s of science degree in a STEM field offered their school for the first three years. The following two years they will complete a degree at North Carolina State University where they will earn an additional degree in engineering. Click FSU or NCCU to learn more about the program. Clark Atlanta University, Dillard University, Morehouse College, Spelman College, and Xavier University have formed a partnership with Georgia Tech College of Engineering. Students participating in the DDEP program will attend their university for the first three years and the last two years at Georgia Tech. Each school has their own requirements for participating. Students who participate in the Georgia Tech College of Engineering DDEP Program will earn a bachelor’s degree from their home institutions and Georgia Tech College of Engineering. More information can be found here. Columbia University School of Professional Studies has partnered with eleven HBCUs across the country. The program is available to high-achieving undergraduate seniors who are selected by their home institution to participate. The fellowship allows students to receive a master’s degree from a variety of professional programs. These programs include Construction Administration, Applied Analytics, Bioethics, Enterprise Risk Management, Nonprofit Management, and Strategic Communication. If the Ivy League degree is not enough, full tuition and housing, corporate internships, industry mentor, and more are offered. To see if your school qualifies, click here. Harris-Stowe State University and Saint Louis University are joining forces to offer students a dual degree in mathematics and engineering. The goal of the partnership is to increase the number of underrepresented graduates in STEM fields. Harris-Stowe State University students have the option of receiving interdisciplinary engineering, mechanical or computer science degree following the competition of three years at their house institution. For those students interested in a mechanical or computer science degree, three years at Saint Louis University is required. North Carolina Agricultural and Technical State University offer six HBCUs the opportunity to obtain a second degree in engineering or computer science. Students participating in the program will receive their first degree at their home school then transfer to North Carolina Agricultural and Technical State University. Participating schools include Bennett College, Clark Atlanta University, Morehouse College, North Carolina Central University, Spelman College, and Xavier University. Do you know any other HBCU dual degree programs? Share in the comments below! As the spring semester comes to a close, many college students are looking for summer research opportunities, internships, and jobs. The reason behind seeking opportunities often exceeds money, as students search for opportunities to deepen their knowledge and experience in their desired career field. Interestingly, there are multiple summer research programs for MSI students specifically; many of these programs were created with the purpose of increasing the number of minorities in particular academic fields. As such, today’s MSI Monday Morning Line Up highlights a few summer research opportunities for MSI students. The NRL Research Internship Program provides 10-week research opportunity for students from Historically Black Colleges and Universities (HBCUS), Minority Institutions (MI) and Tribal Colleges and Universities (TCU) planning careers in science, technology, engineering and mathematics (STEM) disciplines. Research interns are active participants in major research projects and are required to worn a minimum of 40 hours per week under a senior Naval Research Laboratory staff member. Albeit the hard work, perks of the internship include a weekly $850.00 stipend, housing in beautiful Alexandria, VA, and group activities such as DC museum tours, BBQ’s and Washington National’s baseball games. This program runs from May 29th – August 3rd, 2018. Learn more about this amazing program and eligibility requirements here. The HBCU: Evolutionary Medicine-Pathways to Ph.Ds program is a research opportunity for undergraduate juniors and seniors from HBCUs. Chosen participants will work on Evolutionary Medicine topics at UCLA. The program website defines Evolutionary Medicine as: the study of how evolutionary and ecological principles affect medicine and medical applications, and how medical and clinical problems generate new research questions and ideas in evolution. Research interns work closely with a principal investigator (PI) from UCLA’s Ecology and Evolutionary Biology Department and a PI from the David Geffen School of Medicine. Learn more about the Evolutionary medicine categories and requirements for this amazing opportunity here. The MHIRT program at Hampton University is designed to take a selected group of students to to participate in on-going research programs in natural products and environmental health in the following regions on the continent of Africa: the University of Dar es Salaam in Tanzania, Egerton University in Njoro, Kenya, and University of Benin in Benin City, Nigeria. Students’ research in in natural products “typically involves a plant part: root, stem bark, or seeds, which they investigate through an established protocol to isolate chemical compounds.” Environmental health research usually involves assessment and protection of source water. The program began for Hampton students only, but has since then expanded to students in over 120 universities. Learn more about the MHIRT program and eligibility requirements here. The U.S. Department of Homeland Security currently offers a ten week research opportunity for early career faculty and up to two students from Minority Serving Institutions (MSI). During this program, the research team conducts research at one of the twelve U.S. Department of Homeland Security Centers of Excellence. The program’s purpose is “to provide research opportunities to increase and enhance the scientific leadership at MSIs in research areas that support the mission and goals of the Department.” While, there are multiple locations throughout the country for this program, Weekly stipends and housing support are available. Learn more about the Summer Research Team Program here. Know of other summer research opportunities for MSI students? Share in the comments below!